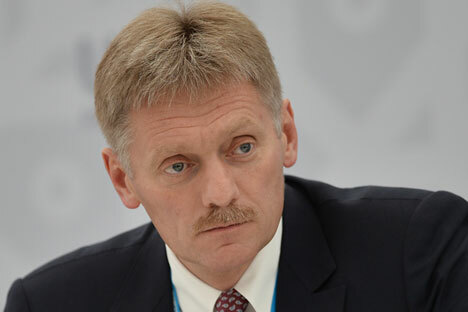 Dmitry Peskov: "We flatly deny the possibility of official involvement in any attempts of organizing any illegal actions." The Kremlin has denied any possibility that Moscow could be involved in the attempts to organize any illegal actions in Montenegro. "Certainly, we flatly deny the possibility of official involvement in any attempts of organizing any illegal actions," Kremlin spokesman Dmitry Peskov told reporters pn Nov. 7. Montenegro’s Chief Special Prosecutor Milvoje Katnic has earlier blamed 'Russian nationalists' for the attempted terrorist attack on the day of parliamentary elections on Oct. 16. In comments to the claims, Peskov said Montenegro’s authorities have not sent any official requests to Moscow. "I don’t know if there have been requests via special services but in this case we have no information," Peskov stressed. On Nov. 7, Katnic claimed that a group of Serbian, Montenegrin and Russian nationals was organized by "nationalists from Russia" who maintained that Montenegro's government led by Prime Minister Milo Djukanovic could not be changed in elections but was to be toppled by force. The group that was formed to topple the legitimate government plotted a terrorist attack late on Oct. 16, he said. Meanwhile, the prosecutor said Montenegro had no evidence "that the state of Russia is involved in any sense."